The gape line does not extend beyond the eye. 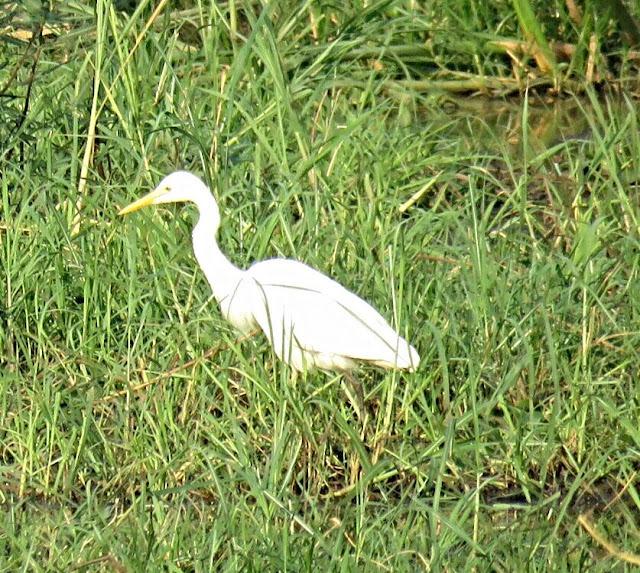 The bill is not aligned with the flat top of the head, as in a Great Egret. The Yellow-billed Egret or Intermediate Egret is a new species to our Photographic Life List, which now stands at 352.